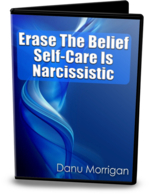 When you're raised by a narcissist, one of the things you can struggle with is self-care. 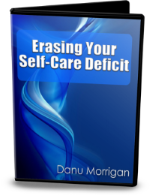 This bundle is designed to overcome that and help you find it easy to meet your needs. Click on the titles below to learn more about each video. These three MP4 videos are priced at only $25.50 which is a 50% discount over the $51.00 it would cost to buy them individually. There's also a full no-quibble 60 day money-back guarantee so you can try them out before deciding if you want to keep them.